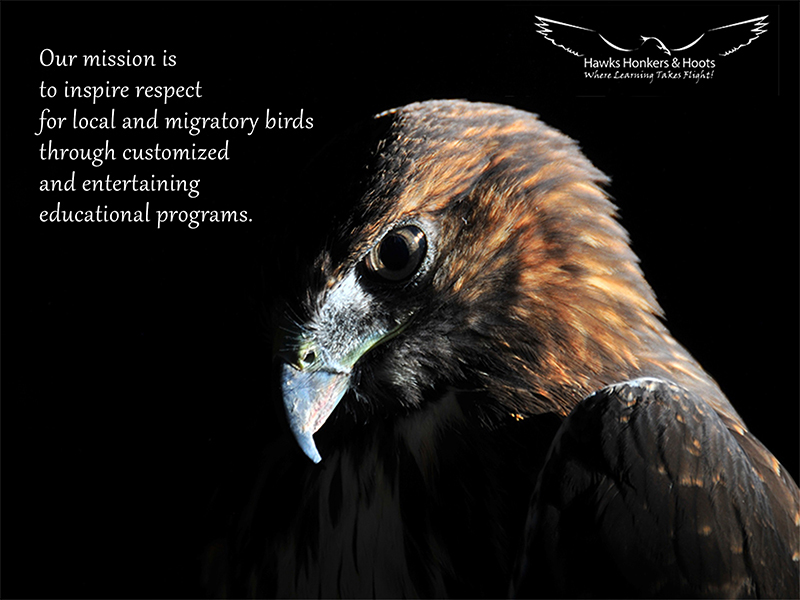 Hawks, Honkers & Hoots is a 100% volunteer wildlife education organization supported entirely through your generous donations. In the fall of 2013 we received our 501(c)(3) designation. Our team of volunteers educates California’s Central Valley communities about local wildlife and conservation through interesting presentations with raptors (birds of prey) and waterbirds. We share information through our website, in presentations, at festivals, and at special events. We are happy to design special presentations based on your specific requests. Our birds certainly appreciate your kind donations which go to support the feeding and care of our wonderful ambassadors.